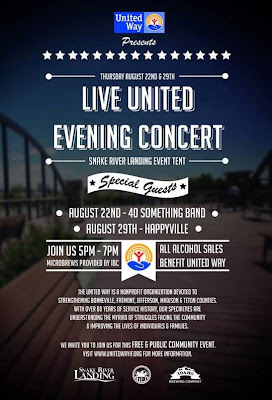 Want to learn more about the United Way of Bonneville County? Here's your opportunity to do that at a fun Alive After Five-style event. If you want a larger version of this poster (i.e., if your eyes are as bad as mine), click on it to enlarge it. Print it out and put it on your fridge. 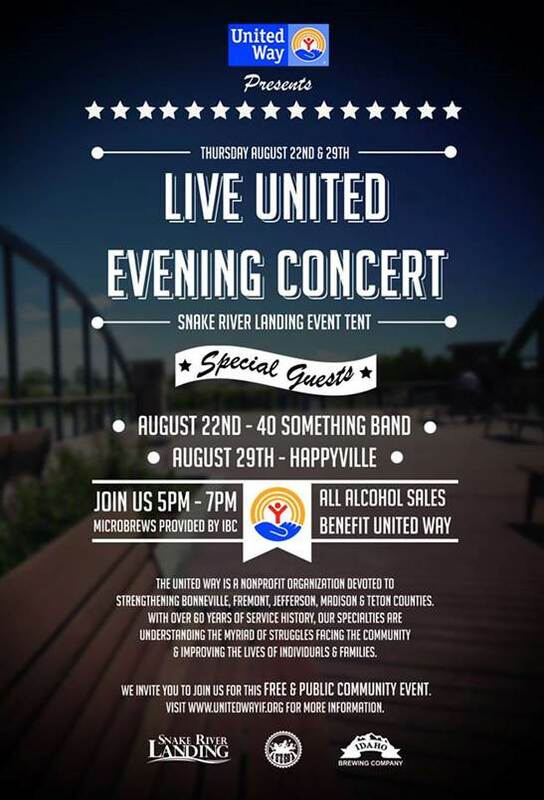 Full disclosure: Happyville, the band in which I play guitar, will be performing Aug. 29. We hope to see you there, but you don't want to miss 40 Something Band either, 'cause they're good and they're our buds.